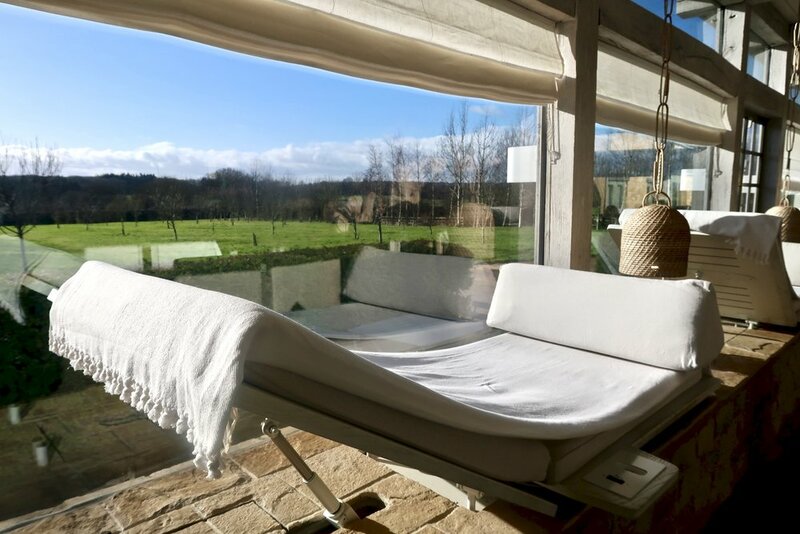 Bamford Haybarn Spa in the Cotswolds is a centre of wellbeing, that nurtures the mind, body and spirit, based around a heartfelt connection with nature. 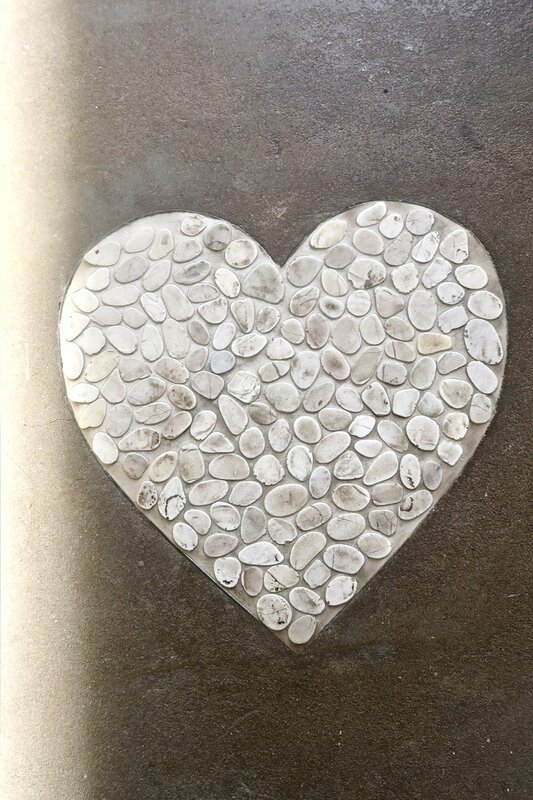 The Haybarn Spa offers a number of wellness programmes, yoga, pilates, facials and massages. The day spa is located on Daylesford Farm which I wrote a post about a few weeks ago. I would definitely check that post out if you missed it as well as the one on The Wild Rabbit as you'll probably want to stay for a night or two to get the full Cotswold experience. In the heart of The Cotswolds, near Kingham, Haybarn Spa is on the Daylesford Farm site allowing you to make a day of your visit with a little lunch and perhaps some shopping. The spa is in the traditional Daylesford style with lots of white & wood and muted colours everywhere, giving a real calming feel to the space. 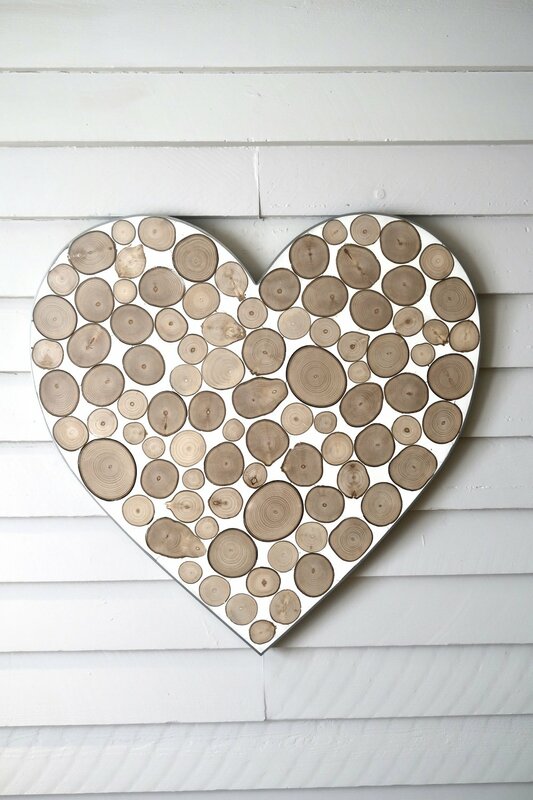 Hearts & happy, calming quotes are dotted around the place adding real positivity to the space. Using Bamford products, the usual spa treatments are on offer. I opted for a massage (as I always do!) and I was not disappointed. I was given a choice of oils and opted for a relaxing combination of camomile & lavender. My therapist asked me if there were particular areas I would like her to focus on and as someone who loves a head massage, I asked for that to be part of my treatment which was not a problem. The treatment itself was lovely, plus I was given some fluffy white slippers to keep at the end which was a nice touch. My only slight frustration was that I could hear people talking in one of the sitting areas and that was a little distracting. Once my treatment was finished, I was taken to the Lavender Room, which is where I was taken when I arrived, to relax. The views from the view are pretty spectacular and on a lovely sunny day the sun really streamed in the room. You might have noticed, I love a spa, and this no exception. 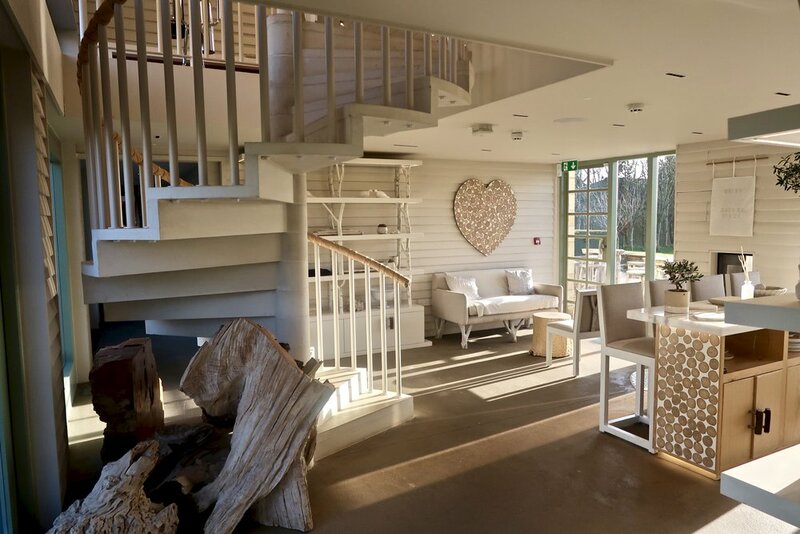 It's different from most spas I've been to, where things tend to be dark & cosy.The Haybarn is very bright & white which, at first, I was not as keen on, but I was proved wrong and it was a nice change and actually still very relaxing. If you read my Daylesford Farm post the other week, you will know I was a big fan. The treatment was lovely but on the more expensive side. I booked my treatment a couple of weeks before I arrived (£80 for an hour massage) but when I came to pay the price had increased by £10. The price I booked was honoured without any quibble but £90 for a massage is expensive, most other places that charge that much have sauna, steam, pool facilities too which feels better value. If you stay at The Wild Rabbit you do get 10% off treatments so it's worth remembering that!